Looking to spruce up your space, then let The Window Dresser, a studio in Koramangala, take just one wall or room of your home and turn into a luxe boudoir with its selection of rich and tasteful wallpapers and silken curtain fabrics. 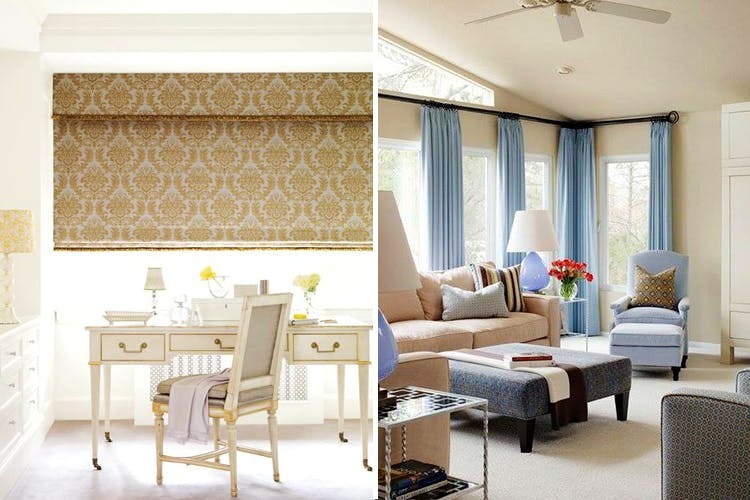 If you want to add a touch of lavishness to your space, then look no further than The Window Dresser, a company that specialises in wall papers and fabrics for curtains. According to Sohail Khan, an interior stylist, one of the perks from his job, is travelling all around the world and sourcing and curating trendy fabrics that ultimately make it to The Window Dresser. The studio’s catalogue will leave you spoilt for choice, and if you need a little help, get inspiration on what you are looking for with tailor-made options that suit your space and personality. A lot of their fabrics and design palettes emanate, classic European styles. So, if you are planning to turn your bedroom into a Parisian boudoir, The Window Dresser has many options to choose from. Take your pick from stand alone pieces such as curtains, draping material and a selection of fabrics like sheers, raw silk or even velvet, with the option of adding handmade tassels to them. For an overall look and feel, the team can suggest fabrics in romantic colour schemes that can give your space a makeover. The store offers a big selection of wallpapers. Choose from chic and contemporary to metallic prints, polka dots, stripes, classic gold and silver florals. For a subtle look, you can opt for their neutral shaded wallpaper in grey, beige and off white, with faded block designs that can give your space a vintage feel. If you want something in vogue, think pastel shades of peach and ocean blues or bold candy colours like hot pinks and yellows with inlaid gold designs. Making a bold statement, the patterns outline palm trees and drop shaped prints in sharp contrasts and a glossy finish. If you fancy a more regal feel, choose from shades of pearly white, purple or plum with intricate patterns that run like delicate lattice work. These prints are perfect to highlight a single wall in your room or a corner of your space for an understated look. The studio requires that you book an appointment first, before you can make a visit. The consultation is free though.